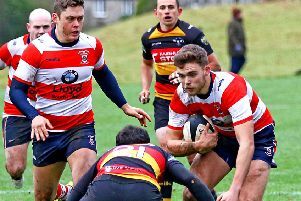 Vale of Lune ended their North Premier season in the same way that they had begun it, with a hammering at the hands of Blaydon. 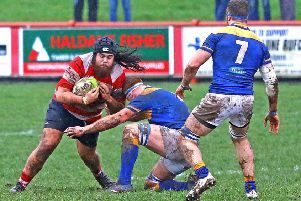 Vale of Lune’s brief sojourn in the rarefied atmosphere of the North Premier took a step closer at Thornton Common Road with their final away fixture on what has been a wretched season. 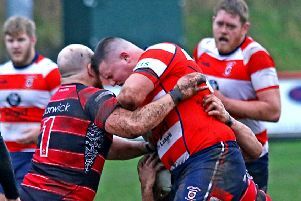 Relegated Vale of Lune faced Rossendale on the back of a six match losing streak in which they had conceded 367 points and with the knowledge that Coach Dan Williams would be leaving them at the end of the season. 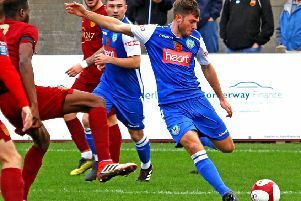 Paul Dawson came off the bench to earn Lancaster City a point deep into injury time on Saturday as the Dolly Blues came from 2-0 down to draw 2-2 with Hednesford Town at the Giant Axe. 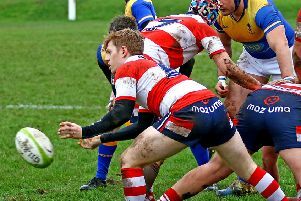 Kirkby Lonsdale went down 30-7 away at Rossendale on Saturday. 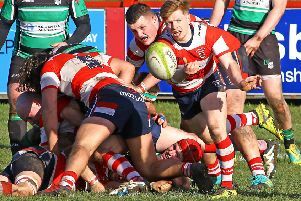 Vale of Lune meandered their way north eastwards for their first ever visit to Billingham on Saturday, and were soundly beaten 75-10. 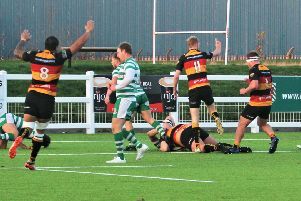 On the second day of the official meteorological spring, there was no “Beast from the East” forecast but Harrogate whipped up an 11-try mini cyclone against a Vale squad which only contained six of the players who had faced Lymm on February 16. A year ago the Vale of Lune were poised on the cusp of being crowned champions of North One West. 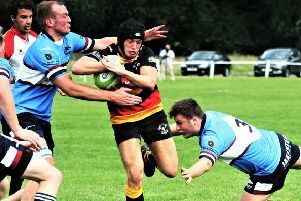 Vale had little to sing about following their off key, lack lustre performance against Lymm on Saturday. 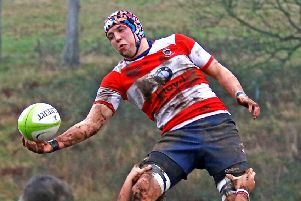 Kirkby Lonsdale were beaten 42-24 by promotion-chasing Harrogate on Saturday at Underley Park. 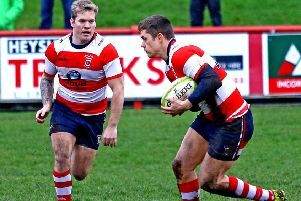 Kirkby Lonsdale picked up an important victory at Crouchley Lane on Saturday, beating Lymm 31-17. 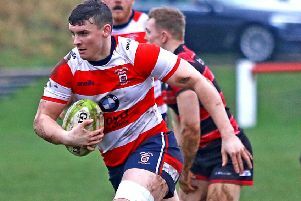 Front runners for promotion Hull faced struggling Vale of Lune for the first time at the Hull Sports Centre on Saturday and it was the hosts who recorded a convincing 97-0 victory. 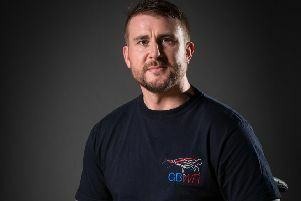 A Paralympic athlete and serviceman who has competed around the world, has once again been selected to represent Team GB in the King Power Quad Nations wheelchair rugby tournament. 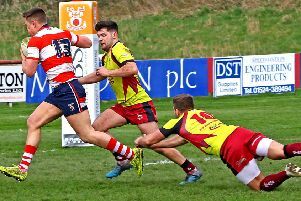 Kirkby Lonsdale hosted North Premier leaders Hull on Saturday, and it was the high-flying visitors who came away with the points, winning 28-3. 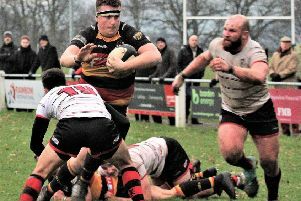 Vale lost to Alnwick for the second time this season on Saturday and fell a long way short of the standards set in their January victories against Kendal and Ilkley. 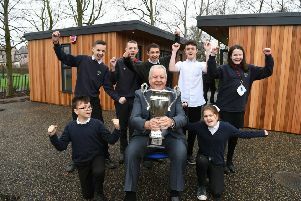 Former England rugby captain Sir Bill Beaumont made a special visit to a Morecambe school on Monday. 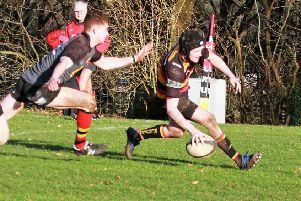 Following their victory against Vale of Lune last week, Kirkby Lonsdale were brought back down to earth on Saturday with a 21-3 defeat away at Alnwick. 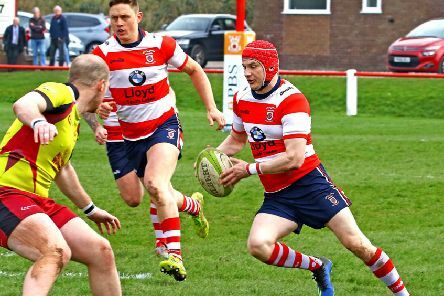 Despite the disappointment surrounding the Kirkby defeat last week, Vale of Lune bounced back in style to record their third North Premier win and claw their way out of the next to bottom slot in the table. 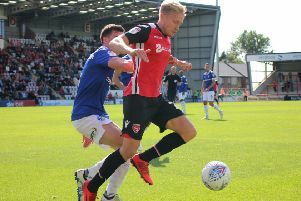 Morecambe boss Jim Bentley says he is looking for two front men in the January window to bolster his side’s striking capabilities. 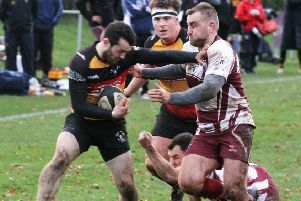 Kirkby Lonsdale claimed the bragging rights and the points against Vale of Lune on Saturday in a game that both teams needed to win as they fight to avoid relegation from North Premier.